Enter our June competition and win a signed copy of Norway’s possibly goriest film, The thrill of a kill on DVD. 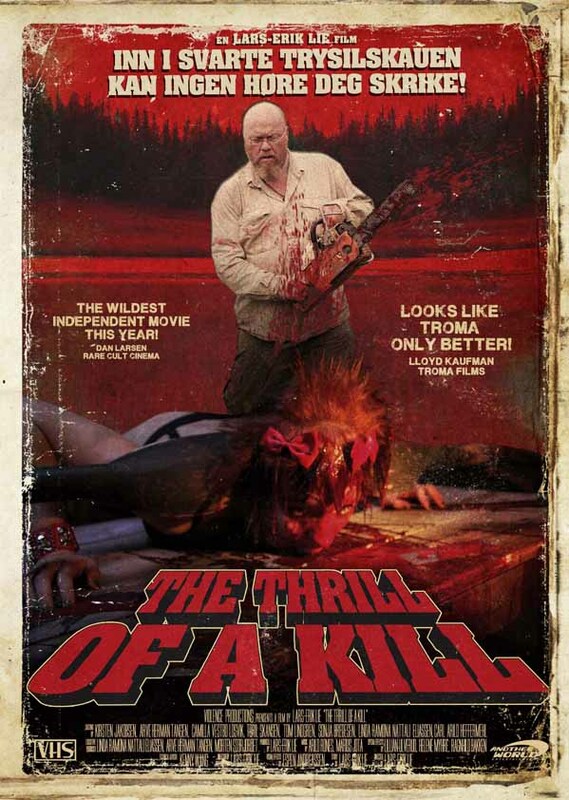 Loved by Lloyd Kaufman of Troma, with a trailer that was too violent to be shown on Filmweb, The thrill of a kill is Norway’s newest underground horror indie. Directed by Lars Erik Lie and shot in the vast forests of Trysil in Norway, the film tells a gory story featuring plenty of hot babes, sick rednecks and remote cabins in the woods. What is the fashion style preferred by Camilla (played Camilla Vestbø Losvik) in The thrill of a kill? Correct answer: Goth / gothic. If you know this, send your answer via email to info@nordicfantasy.info no later than June 29, 2012. The winner will be notified on the 30th and also listed on this page, in the commentary field.